Congratulations! You have put your property on the market and made your first step towards selling your home. You should now be looking to minimize the amount of time it takes to find a buyer, and maximize the amount you sell for. To help, here are 10 budget friendly ways to win over potential homebuyers. A clean home suggests a well maintained one, which will attract potential homebuyers. On the other hand, a dirty or smelly property can deter buyers and will give the impression of a poorly maintained property or that there may be underlying defects. 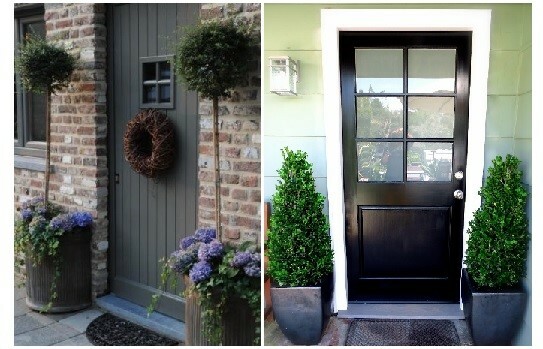 You can create a great first impression by painting and dressing your front door, adding stylish lights, clearing up the front garden and cleaning your windows. You can also improve the kerb appeal of your neighbours property, by offering to clear up rubbish or cut overgrown hedges at the same time as your own. Freshening up your walls with fresh, neutral coloured paint is a cost-effective way to instantly update tired décor and make your property feel fresh and modern. It is also a good time to tidy up any cracks in the paint that may have occurred from natural wear and tear. You should clear away any clutter or ornaments that will prevent your buyers from being able to properly look around your property properly. You should accessorise with freshly cut flowers, which will give your property colour and a lovely smell. You can also use mirrors to make your house appear brighter and bigger. Remove old net curtains to modernise the exterior of your property and increase the amount of natural light, which will make your property look bigger and brighter. You can replace cupboard handles, doors or resurfacing your worktops. You should also replace any tried looking appliances that are on show, to make your kitchen look fresh again. Be sure to set each room up with a clear function and appropriate furniture. If you are using bedrooms for other purposes, such as a study, buy a small bed and dresser to help buyers visualise how the room can be used. Be sure to ask friends or family to look after your pets or small children for a couple of hours, to give your buyer enough space to look around the house without distractions. Prepare information for your buyers on good, local schools, the best places to eat and transport options. It will help your buyer imagine themselves living in your property, and provide them with more detailed information than your agent can provide.